The leaves are turning, the weather is cooling off … it’s already time to start thinking about holiday portraits. 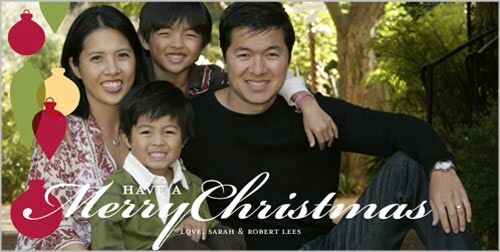 If you like to send out holiday photo cards or have a family portrait tradition, check out my holiday portrait special. I’m offering Kansas City area family portrait sessions up to one hour for just $49. Included in the cost are five high-resolution images to print to your heart’s content. Or buy the entire CD for $39. Offer expires 10/31/12 and must be redeemed by 11/18/12. Please allow two weeks to receive final edited photos. As you can see, I have been a busy bee updating my blog. I chose a new simple black design, I fixed all the missing links in old blog posts, I added social media links on the right, and I’ve been categorizing a lot of my blog posts. Check out the Categories panel on the right. If you click a category, such as “night photography” for example, it will take you to all of my night photos. Not every photo has been categorized, but it’s certainly a lot more organized than before. Unfortunately I didn’t realize that every time I added a category to a photo, that particular blog post re-posted. So I sincerely apologize to my readers who just received about 50+ emails from me. And the biggest update is yet to come – I’ll finally be adding a portfolio section! That empty “My Work” tab at the top will finally be filled. Thanks for your patience! GIVEAWAY: Kansas City Wall Art! If you looked at my photo of the week yesterday, you may have seen that I just opened up an Etsy site to sell prints of my work. Because I’m as passionate about fighting cancer as I am about photography, I’m selling these prints as a fundraiser for Relay For Life. To kick off the grand opening of my Etsy store, I’m offering a GIVEAWAY! The first five customers who order one print or more will receive a second print of equal size for free! See the details below. * Giveaway ends May 14. * When placing the order, indicate which print you’d like in the Notes to Seller section. * Must pay shipping on the first print; second print will be shipped with the first print free of charge. * If you order a 5×7, you will receive a 5×7 free. If you order an 8×10, you will receive an 8×10 unless you request a 5×7. * Once the 5 customers have placed their orders, I will post an update on this page indicating the giveaway is over. * Must have a U.S. address. * 100% of proceeds will be donated to my 2012 Relay For Life team. 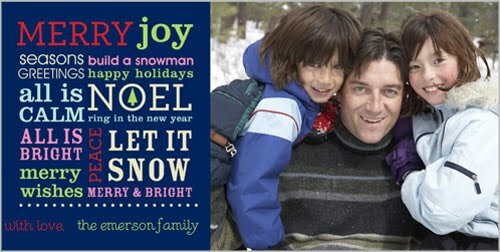 We’re quickly approaching the time of year when a lot of us start ordering holiday cards. 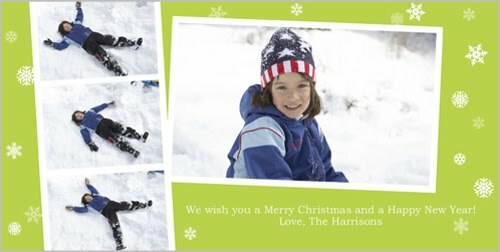 Even if you didn’t get your holiday photos taken with me (and you still have time), I would like to recommend the company we order our photo cards from: Shutterfly. They have a huge variety of designs to choose from. Last year Jerod and I ordered a classy black card with one of our wedding photos. This year, I’m thinking of tackling outdoor self-portraits. I’ve been looking through the Shutterfly photo cards, and I can’t decide between the following four designs. They’re all so different! This fun design, which incorporates my favorite color: blue! Which one do you think we should order? What would YOU order? You know what’s even better? We get 50 FREE photo cards this year! Find out how you can too. 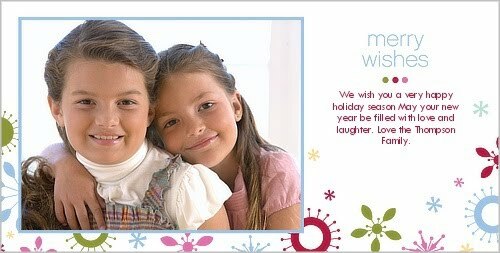 The holidays are quickly approaching, and I know many of you like to send out holiday greeting cards with your family photos. First time customers can receive an outdoor family photo shoot and a high-resolution CD of the images for just $99! Contact me to book your portraits today. I’m giving away a FREE 20-page 8×8 photobook from Shutterfly. (Book must be ordered by April 28.) All you have to do is post a comment to the question below before midnight tonight (April 20). Make sure you include your email address so I know how to contact you. I will draw names at random tomorrow morning and give the winner the promo code so they can start designing their book! In case you didn’t know, tonight is the season premiere of one of my favorite shows, the Biggest Loser! And over the last few days, I’ve been hearing a lot about the infamous weight loss New Year’s Resolution. In honor of getting healthy, and for a little motivation to keep your New Year’s Resolution, I’m offering FREE portrait sessions! For those of you who are setting weight loss and fitness goals this year, I’ll do a photo shoot of you after you achieve your goal! The first five individuals who sign up and meet their goal will receive an “after” portrait session free of charge, and everyone else will receive half off their sitting fee! Contact me at lindyd_03@yahoo.com for details. This offer is good through Feb. 5, so make this your time to get healthy and look great!